HFD responds to fire at UH-Downtown campus. 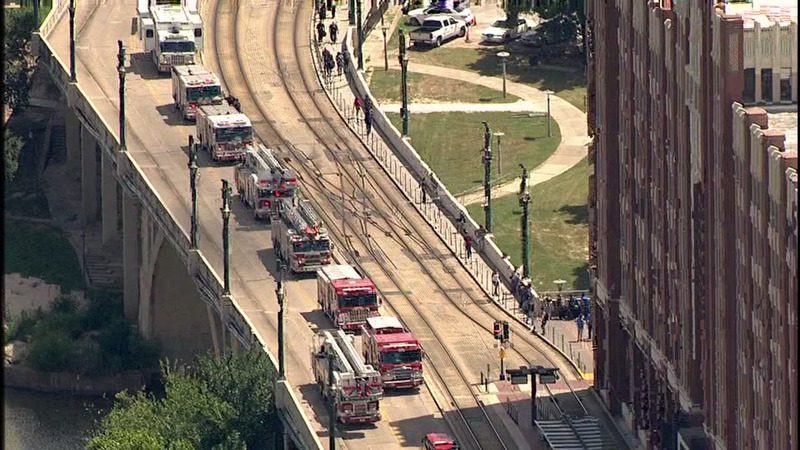 HOUSTON (KTRK) -- Some classes at the University of Houston-Downtown have been cancelled after a two-alarm fire forced staff and students to evacuate the campus on Tuesday afternoon. One Main Building, Commerce Street Building, and Shea Street Building were all closed, according to a tweet from the UH-Downtown. Houston Fire Department responded to the campus at 2:39pm and by 3:36pm the flames were reportedly extinguished. According to fire officials, there was heavy smoke found in upper floors of the building. A small fire started on the building's ninth floor, according to fire officials. The fire continues to be investigated and it's not known at this time when the buildings will reopen.